The Ikawa Forest Station occupies the upper middle basin of Higashigouchi stream, a tributary of the Oi River. As the slope is steep and the ground is brittle, collapsed areas can be found throughout. Across the vast secondary forest of more than 1300 hectares, you can observe the vegetation changing in accordance with the altitude. The Ikawa Forest Station Administrative Office, which is the operation base for the forest station, is located 25 kilometers down the Ikawa River from the forest station. It is equipped with accommodations for a maximum of 28 people, a kitchen, bath, toilet, and internet (Wi-Fi). The Oi River upper river basin is sandwiched between two of Japan’s major fault lines, the Median Tectonic Line and the Itoigawa-Shizuoka Tectonic Line making the area subject to intense crustal deformation and the foundation in the area here collapses easily. Sandstone and shale formed on the ocean floor end of the Cretaceous period (approx. 60 million year ago) rose at an accelerated rate over the last several million years and at the same time severely corroded. 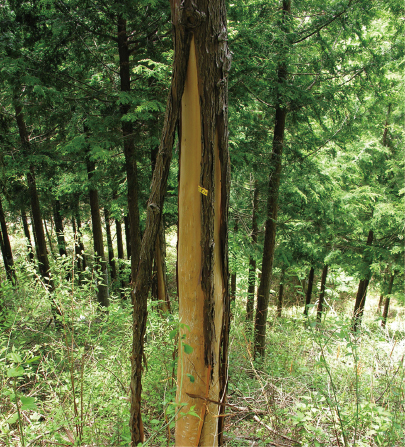 As a result the Ikawa Forest Station boasts one of the country’s highest sediment yields and the sediment movement here is more active than any other university-owned field in Japan. 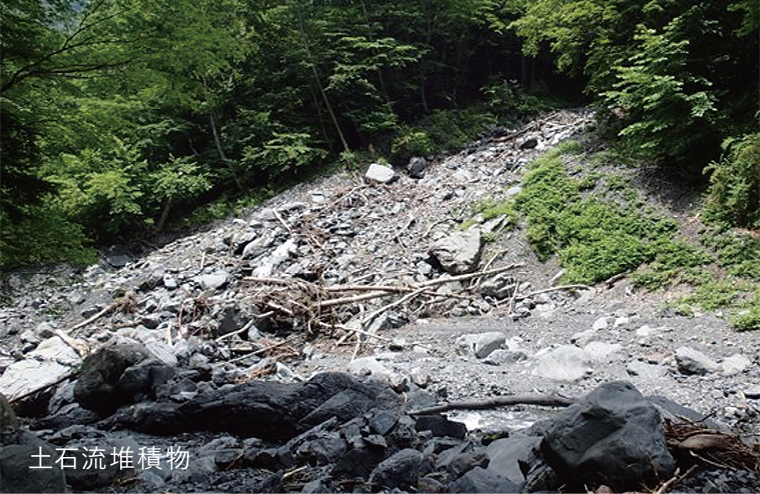 A debris avalanche occurs virtually every year, and research is conducted on erosion control and topography that make use of this phenomenon. The movement of the forest’s soil and water is surveyed in exercises for acquiring knowledge and skills regarding the forest’s function and usage. We measure the effects climate change, changes in forest vegetation, and deforestation have on micro weather systems and soil movement, as well as carbon and nitrogen circulation. Topography and erosion control engineering research is also often conducted here. 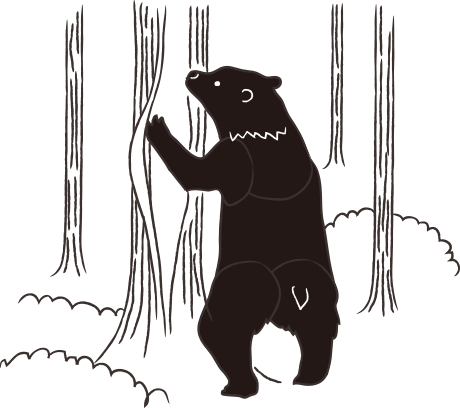 In the Ikawa Forest Station, which is a treasure chest of wildlife, damage from bears stripping the bark from trees leaves them worthless for construction use and is seriously hurting the forestry industry.